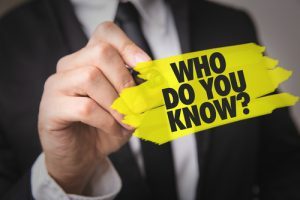 Word of mouth is critical for construction lead generation and your current customers present some of your best opportunities for getting the word out about your firm. To get those referrals coming in steadily, though, you’ll need to give your customers a little encouragement. Time it Right – When your client is feeling especially appreciative of your work, they’re more receptive to the idea of returning the favor by sending business your way. A few good times to ask for a referral are when your client thanks you for a job well done, after you’ve done a favor for them or gotten them out of a sticky situation, or when you’ve exceeded expectations, such as by getting a job done ahead of schedule. Be ready with a form that’s easy for your clients to fill in with their referral’s contact information. A self-addressed, postage-paid postcard they can drop in the mail later is even better. Offer a Little Extra Motivation – A referral program offering a reward for new clients is the most clear-cut way to incentivize customer referrals. 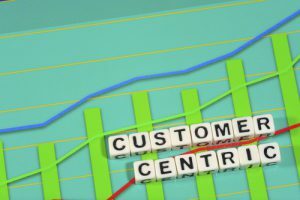 For large contracts your current customers help bring in, you could even offer a cut of the profits. A cash incentive isn’t a must, though. In fact, with high-end clients, small rewards can backfire by looking trivial. Instead, when a valuable client sends you a construction lead that turns into business, thank them with a gift tailored to their preferences, such as restaurant gift card, tickets to an event or a bottle of their favorite wine. A thoughtful gift is likely to be remembered when another referral opportunity shows up. Stay in Touch – Even during on-going projects, continue building relationships with your clients to keep your firm at the forefront of their minds. Pass along useful industry news, tell them about a potential opportunity or introduce them to someone who could benefit their business. 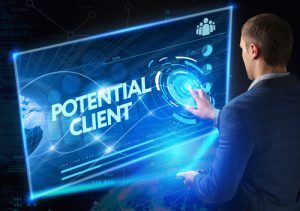 As you connect, educate your clients about the range of services you offer so they understand what kind of clients you’re looking for. With so many complexities involved in a construction project, your potential clients are always on the lookout for information that will help them make better decisions. Publishing an ebook makes finding leads online easier by giving your audience the guidance they’re looking for in an easy-to-digest form. Blog and social media posts have their role in the process of finding leads online, but they’re also easy to skim and forget about. An ebook that offers genuinely valuable information holds your reader’s attention for longer, giving you a chance to convey the benefits of working with your firm in more depth. The better your prospects understand what you can do for them, the more likely they are to contact you about starting a project. Because ebooks are so easy to pass around, they can help you reach potential clients who might never have heard of you otherwise. 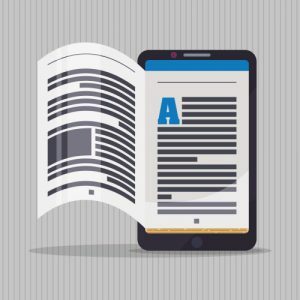 If one of your readers finds your ebook helpful, chances are they’ll pass it on to a colleague or two. That gets your firm’s name in front of new eyes, while also giving you the benefit of being recommended by a trusted friend. An ebook lets you dive into one specific topic, sharing helpful tips, professional insights, and up-to-date, thoughtfully analyzed data your prospects can’t easily find elsewhere. This kind of thorough, experience-based guidance showcases your expertise in a concrete way. Ebooks geared toward providing a clearly defined benefit usually do this best. Depending on the clients you’re targeting, you might write about what they can do to ensure their construction project is completed on schedule or how they can find tenants for their in-progress commercial property. In addition to building your prospect’s confidence in your skills, your ebook can spark ideas, prompt questions, and pique interest in new areas, any of which gives your prospect a reason to get in touch with you. 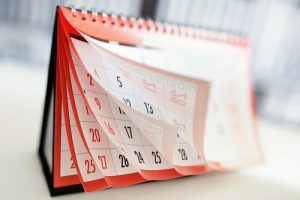 If the thought of producing high-quality construction blog and social media content day after day feels a little overwhelming, there’s one tool that can lighten your load: an editorial calendar. A well-planned calendar keeps your content marketing efforts on track and almost completely stress-free. Higher-quality content – Construction is a complex topic to write about. Even as an expert, you need time to organize your thoughts, conduct research, and double-check your facts. An editorial calendar lets you see at a glance what needs to be ready by when, so you can schedule your content production in stages. This way, you can create more comprehensive material that includes valuable data and input from other experts. You’ll also have time to address your prospects’ seasonal concerns, such as the pros and cons of remodeling in winter. Content like this positions you as an authority and attracts links and social media shares that put your firm in front of new potential clients. Greater Consistency – No matter how good your content, you won’t build a loyal audience if you only publish whenever you get around to it. Your prospects need to know they can rely on you for fresh, high-value information on a regular schedule or they won’t bother returning. An editorial calendar makes it easy to stay consistent. No more missing days because you were distracted or couldn’t think of anything to write. The more often your prospects come back for new content, the more likely they are to contact you about their construction project. Less stress – When all your content is planned well in advance, you’ll no longer have to scramble for ideas at the last minute or push to finish something on a tight deadline. You can create your content a little at a time, fitting the work in when it’s most convenient. Following a calendar also means no more guilt over letting yet another week go by without reaching out to your audience. A website that’s skillfully crafted to pull in construction leads is a key part of effective online marketing, but it isn’t much good if it sits unseen. 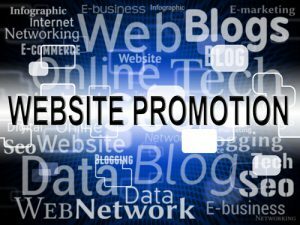 A little strategic promotion ensures your site will have an audience to work its magic on. 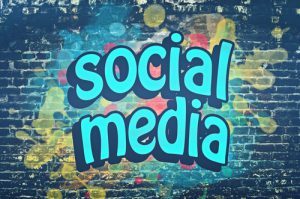 Use social media wisely – Social media can bring you new website visitors and boost your site’s search engine rankings, but avoid the faux pas of constantly broadcasting ads. Base 90 percent of your posts on tips, news, facts, and other non-self-promotional content and make the rest direct calls to visit your site. Get on video – Video sites such as YouTube, Vimeo, and DailyMotion are popular sources for tips and advice, so make sure your content is there for your potential clients to find. 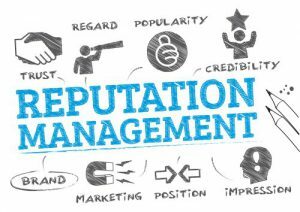 You’ll not only reach a broader audience, but also build trust and rapport in a way text alone just can’t. Video also helps you grab attention on Twitter, Facebook, and Instagram. Invest in paid advertising – Done well, paid ads can bring quick results. Google Adwords and Bing Ads let you bid on search terms. With Facebook Ads and LinkedIn advertising, you can precisely target the demographics that will see your ads. Keep publishing – The more content on your website, the better the chances of that content showing up when one of your potential clients searches for construction project tips online. A consistent publishing schedule lets the search engines know your blog is active and worth ranking highly, but more importantly, it keeps your readers coming back because they know they can expect fresh content. With everything else you have to do running a construction firm, managing your social media presence can feel like a time-consuming drain on your energy. By using software for content curation, scheduling, and analytics, you can use your time more efficiently and get better results. Buffer – Buffer is a social media management platform that lets you schedule posts to be sent out automatically. You’ll have the option of setting up a predefined posting schedule so you won’t have to calculate the best day and time every time you schedule a post. The analytics feature tracks links so you can see which of your posts interest your followers the most. Overall, it’s a user-friendly choice for managing a basic social media presence. Hootsuite – With Hootsuite, you can not only schedule content and analyze your results, but also find good content to post. Considering truly engaging content on building and real estate topics isn’t always easy to find, this can be major time saver. You’ll be able to monitor content streams by hashtag, location or keyword and easily schedule posts as you browse online. Want to get your whole team in on the firm’s accounts? Hootsuite lets you ensure only approved posts go live. If your firm is seriously invested in social media, this software will help you get the most out of your efforts. Hubspot – As a customer relationship management tool focused on social media, Hubspot lets you schedule, post, and reply to your social accounts from one simple interface. Beyond this, it also helps you with lead management by allowing you to integrate your social media with the rest of your marketing. For instance, if a prospect contacts you through Twitter asking about your design-build services, you can move them into an educational email list right from Hubspot. The platform’s analytics let you track your social media results to see what’s bringing in leads and sales. For an all-in-one tool, this is one of the most popular choices out there. Creating useful content on a topic as technical and specialized as construction takes a lot of effort, but it doesn’t have to be an unending slog. 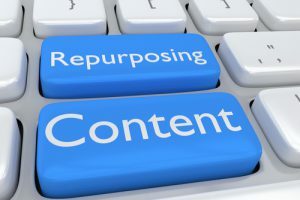 When you reuse existing content, you get more value from your work and more ways to reach new leads. Put it on video – Video helps you reach potential clients who’d rather sit back and listen than read through your website. Instead of creating new content for your videos, base them on the blog posts and articles you already have. End each one with a call to action that encourages viewers to get in touch. Then share your videos on sites such as YouTube, Vimeo, Facebook, and Instagram to reach leads who haven’t found your website yet. Develop a mini-course – A blog post series covering a complex topic can be overwhelming and off-putting to some prospects. By breaking that information down into a three- or five-part minicourse delivered by email, you’ll have a better chance of getting through to them. You’ll also have a new lead magnet that encourages your visitors to hand over their contact information. Build guest posts – Having your content published on other construction industry blogs and sites is a time-efficient way to reach a new pool of potential leads. Think of a few topics you know well, contact blogs that cover those topics and ask if they’d be interested in a guest post. When you get a bite, reuse existing content by mixing and matching to put together a top-notch post fast. Create infographics – Few things are as shareable as infographics. An eye-catching infographic packed with useful, interesting data can extend your reach on social media and get your name in front of new potential leads. Choose a topic you’ve already written about and pull some related statistics, facts, and tips from your content. There are online services that let you make simple infographics, but a graphic designer can create images that better express your brand identity.